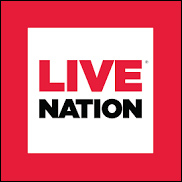 CHAFFEE COUNTY, Colorado (CelebrityAccess) — Chaffee County commissioners on Tuesday approved a special event permit for promoter giant Live Nation to stage a country music festival at the Meadows outside Buena Vista over Labor Day weekend. According to the Mountain Mail, approval for the permit came after a five-hour hearing in which 30 people offered comment. The Chaffee County Times reported that per the permit, Live Nation estimates that the 3-day fest could draw up to 25,000 people, though they expect about 10,000 people in their first year. Live Nation’s application cited the impact of the Faster Horses Festival in Michigan, which, in a 2014 study, brought $14.9 million to the area over 3 days. “We feel confident they will deliver a top-notch show and an incredible experience for all. We have already met with them several times and expressed many of the concerns that were brought up post-Vertex. They are willing to work with us as a community and address these concerns,” he added.